"Our Privacy & Data Protection Office reviewed this issue, looking at the type of data involved, whether we could accurately identify the users to inform, whether there was any evidence of misuse, and whether there were any actions a developer or user could take in response," Google stated in a blog post on Monday. "None of these thresholds were met in this instance." There was another factor at play, though, according to a report by The Wall Street Journal. Google executives were concerned about appearances, particularly as Facebook is under fire after an analytics firm allegedly misused the data of tens of millions of users. "They were worried about the repercussions of coming forward with this information," Journal reporter Douglas MacMillan told NPR. "Earlier this year, right at the time they discovered this, the Facebook Cambridge Analytica data breach had just happened, there's a lot of regulator scrutiny of Facebook and tech companies and how they're handling data, and internally, they were worried about being pulled into this conversation in a bigger way." Google says that like other tech companies, it has encouraged third-party developers to "build on top of our various services." It says it discovered the breach during a review this year of this type of third-party data access. According to the company, profile information like name, email address and age from some users was available to apps, even if users had not marked it public. Google says the consumer version of the Google+ will be shuttered by next August, though companies may still use a different version. The company is also stressing its commitment to security — now offering "more fine-grained control" of what account data Google users share with third-party apps. While Google says there is no clear misuse of profile data that occurred as a result of this breach, MacMillan of the Journal says it raises questions about the company's commitment to user privacy. "In this situation, there was a pretty serious decision being made about how to handle a situation involving sensitive personal data and there was no transparency into that decision," he says. "So can Google keep the trust of its users going forward? I think they're going to have a lot of work to do to get that trust back." Google Chief Executive Sundar Pichai has agreed to testify before Congress in the coming weeks, according to the Journal. 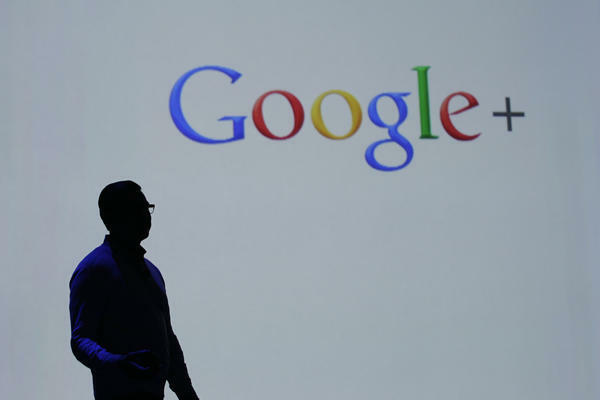 When Google+ launched in 2011, it was envisioned as a possible rival to Facebook, The Associated Press reported. "But Plus flopped and quickly turned into a digital ghost town, prompting Google to start de-emphasizing it several years ago."